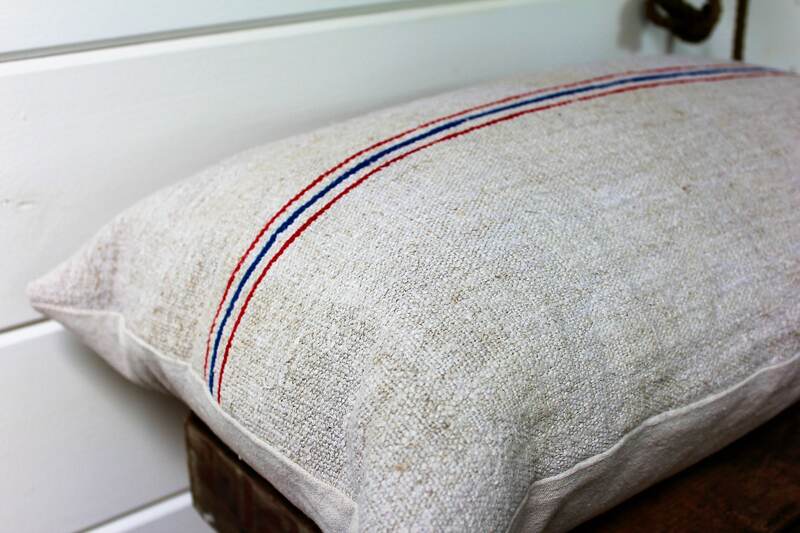 The fabric used for this pillow cover is vintage European Striped Grain Sack cloth from the 1800s. The fabric is in perfect condition and is from Vienna Austria. It is a heavy durable cotton with a great texture but still nice soft handfeel. 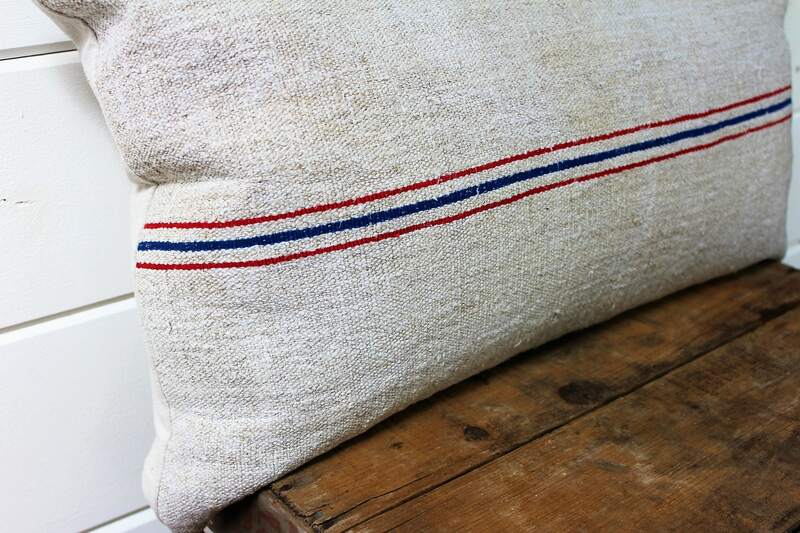 There is a beautiful red/blue stripe running down the center of the pillow cover. 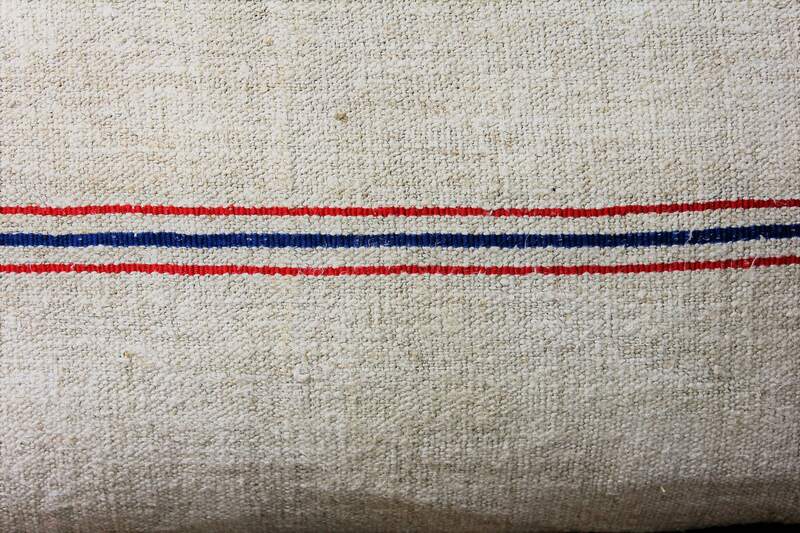 The back of the pillow cover is made from French linen from the 1800s. 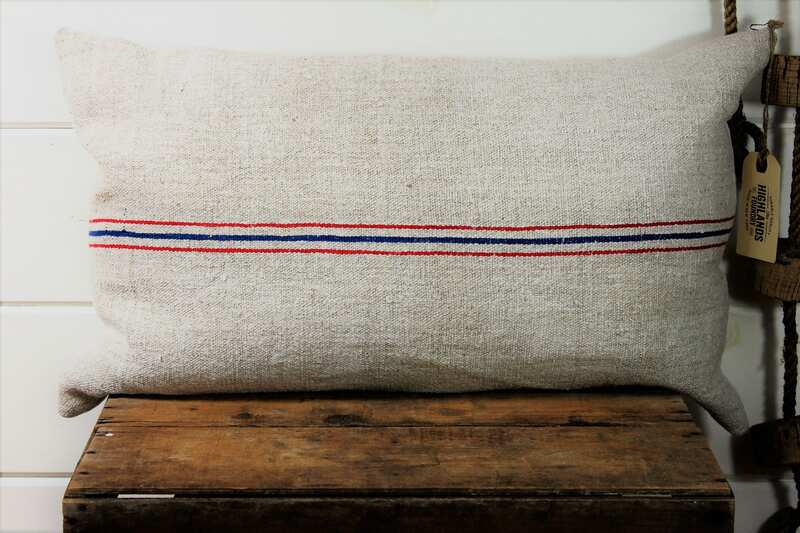 It is washed and tumbled to give a greatsoft texture to the cloth. There is a closure at the bottom with an invisible zipper. 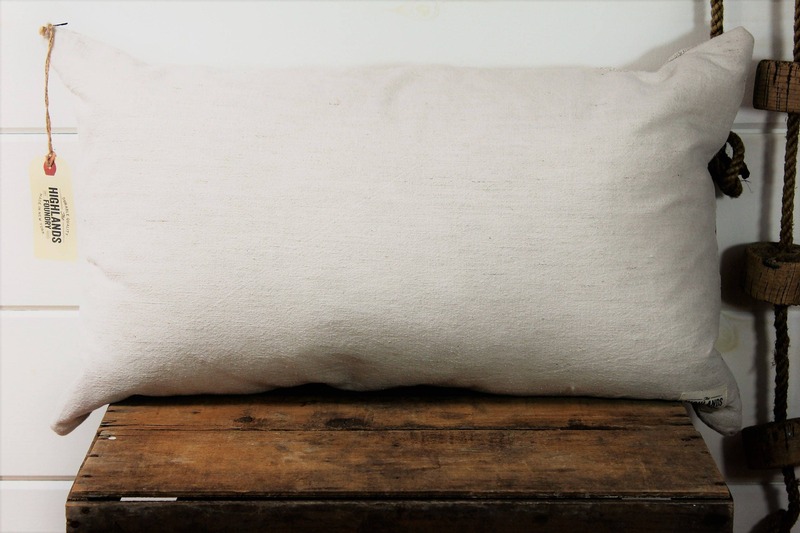 Sold as a pillow cover. No insert included.